We are all just trying to express ourselves in a world where we are constantly lost in a sea of messages. 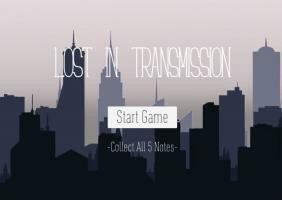 In "Lost in Transmission" you have the opportunity to be heard! Transmit your simple little melody over the cacophonous city and join together with other lost sounds to create a signal that can be understood across the world!